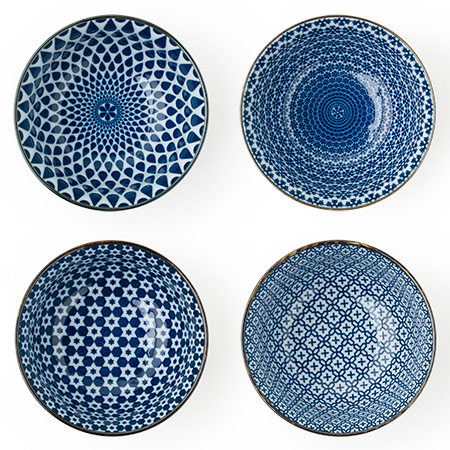 Miya Company - Blue and white ceramic bowl set of 4 made in Japan available at Miya! Blue and white is the new neutral. These 5" bowls are perfect for cereal, rice, soup, salad and snacks. Assorted patterns to bring beautiful variety to your life. 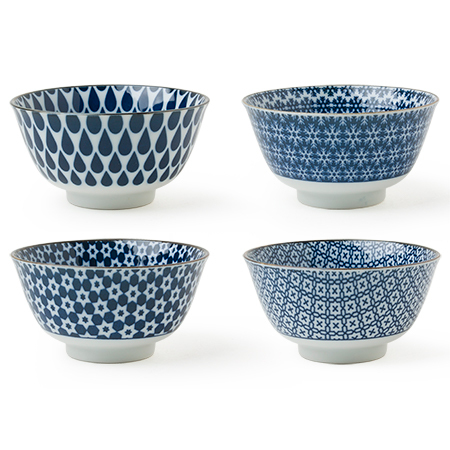 This Japanese bowl set includes four bowls packaged in a black gift box.